MANILA, Philippines — Philippine authorities began evacuating thousands of people Thursday from the path of the most powerful typhoon this year, closing schools, readying bulldozers for landslides and placing rescuers and troops on full alert in the country's north. More than 4 million people live in areas at most risk from the storm, which the Joint Typhoon Warning Center in Hawaii categorized as a super typhoon with powerful winds and gusts. With a massive raincloud band 560 miles wide, combined with seasonal monsoon rains, the typhoon could bring heavy to intense rains that could set off landslides and flash floods, the forecasters said. Storm warnings have been raised in 25 provinces across the main northern island of Luzon, restricting sea and air travel. 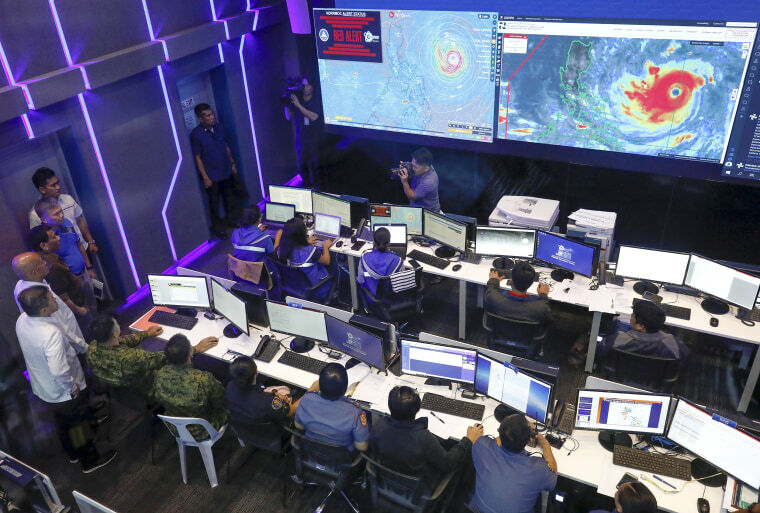 Office of Civil Defense chief Ricardo Jalad told an emergency meeting led by President Rodrigo Duterte that about 4.2 million people in Cagayan, nearby Isabela province and outlying provincial regions are vulnerable to the most destructive effects near the typhoon's 77-mile-wide eye. Nearly 48,000 houses in those high-risk areas are made of light materials and vulnerable to Mangkhut's ferocious winds.